It’s time to book for Fitzroy’s pre-game lunch for the first home game of the season on Saturday 22 April. 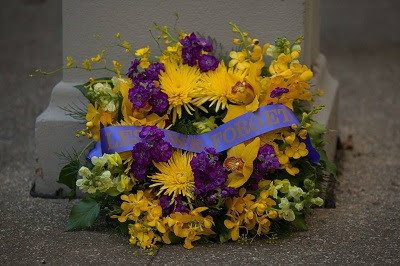 The next home game is also the closest game to Anzac Day and Fitzroy will follow tradition by holding the annual laying of the wreath at half time during the Senior’s game at Brunswick Street Oval. As part of the short service, we will acknowledge the fallen former Fitzroy players, with wreaths laid at the war memorial backing onto the Bowls Club at approximately 3pm. The combination of youthful exuberance, determination and two returning favourite sons, got Fitzroy over the line in a rain-soaked thriller a Parkdale on Saturday, retaining the Norm Johnstone Trophy. It’s been a while since Fitzroy has won in Round 1, but the inexperienced team travelled to Parkdale and took the points in a nail-biting finish giving Nick Mitchell a win in his first game as senior coach; 9.11.65 to 9.8.62. The three point margin was the result of a game of two contrasting halves. Kicking with a strong wind in the opening quarter, Fitzroy seemed a bit tentative and Parkdale set up very smartly in defence, dropping numbers back and limiting the scoring opportunities. Fitzroy led by just two points at quarter time despite the wind advantage and then saw the home team use it very well in the second quarter, with Parkdale leading by 25 points and looking the stronger team at half time. 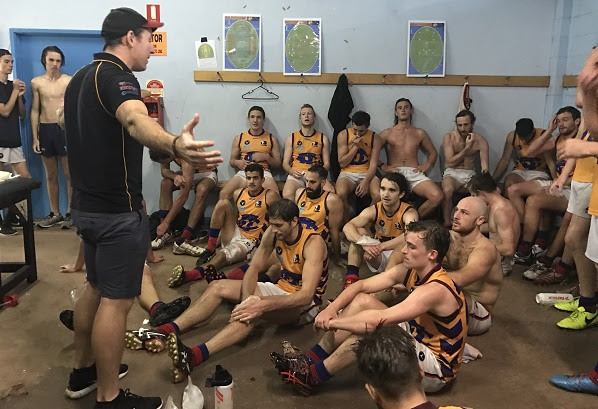 After a motivational chat from captain Rory Angiolella, it was a fired-up and focused Fitzroy who returned to the field after half time with some slight positional changes and a determination to go straight up the middle of the ground with the use of the wind. A six goal to nil third quarter had the Fitzroy fans in raptures, and then came the storm and a fast-finishing Parkdale. 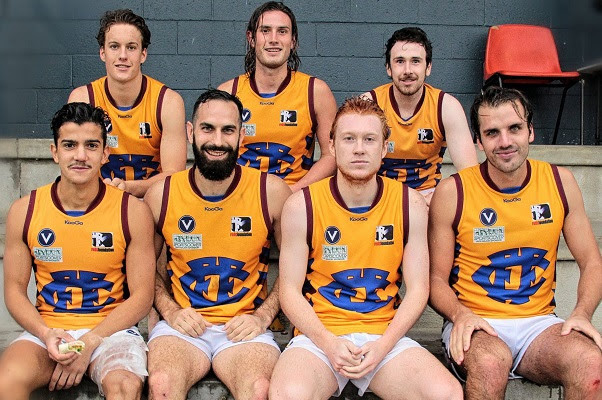 Defending a 17-point lead, Fitzroy had to face down a surging Parkdale side, who seemed to have all the momentum but were hampered by the dreadful conditions. It was really down to determination in the final few minutes with limping, spent players giving everything they had to hold on. The twin towers at either end of the ground were welcomed back to Fitzroy with open arms – Nathan Jumeau provided a great target up forward and kicked three goals, while Max Ellis down back steadied the defence and showed incredible poise all day, but particularly in the last frantic minutes. Newly appointed to the leadership group, Jules Turner showed his class and skill again and again in the dry and the wet, and was definitely one of the standouts. Luke Baker, who has put on some muscle over the summer, also ran the ball out of the backline to set up a number of attacking moves. As always, Rory marshalled the group in the middle and had his head over the ball. He was threatening when he went forward and Parkdale awarded him Fitzroy’s best player on the day. Rory was greatly assisted by Lewis Pavlich, who was outstanding all day and scored two goals, along with newly graduated Under 19s, Harris Scholz-Mitchell, Ted Clayton and Eddie Lincoln. There were 10 changes to the team which last played Parkdale in 2016 and most of the debutants are pictured above. Take a good look at these boys as you may be seeing a bit of them this year, along with Aiden Burke and James Butler, who also played up from the Under 19s on Saturday. Pictured are (Front L-R) Will Zaghis, Mark Obushak, Eddie Lincoln, Owen Symington (Back L-R), Ted Clayton, Harris Scholz-Mitchell and Nick Harrison. The tough note was the serious injury to James Butler on debut. 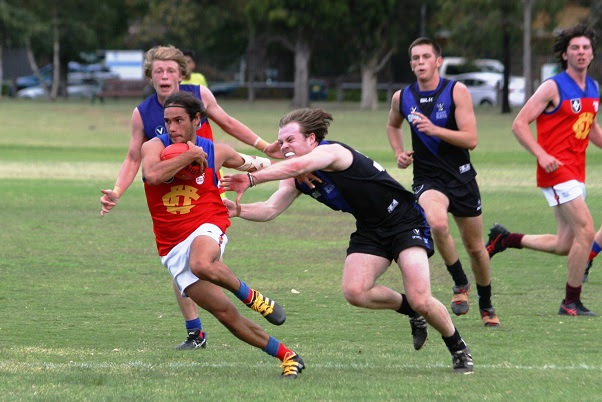 Called up from the Under 19s to quell Parkdale’s Premier B best and fairest player, Charlie Dillon, Butler’s dogged defence drew plenty of praise from the Fitzroy camp, but he was hurt in a clash on the boundary line just before three quarter time. His broken wrist will require surgery and a plate, with an expected stint on the sidelines for the next 10 weeks. Once he’s back you can expect to see plenty more of this talented player, who is the Under 19s captain. Here is Phil Hill’s write up of the game for the Footy Almanac and not to be outdone, King George III invokes King Lear to illustrate Saturday’s wild and windy conditions and has a special message for James Butler. Earlier in the afternoon, in the heat of the day, the undermanned Fitzroy Reserves hung in the game until three quarter time, but things were a bit one sided in a five-goal final term from Parkdale, who went on to win 14.14.98 to 8.11.59. It was a strong performance at full forward by Will Pickering, who scored four goals, which would have had the Seniors coaches considering a call up. Setting the tone for the day and the season, it was a mighty impressive start from the Fitzroy Thirds on Saturday at Parkdale, easily accounting for the home side 13.17.95 to 6.7.43. It was a very even performance up forward, with Steve Petsinis, Simon Heather, Liam Webb and Danny Ly scoring two goals each. Ross Bartel and Jack Dalton played influential games. 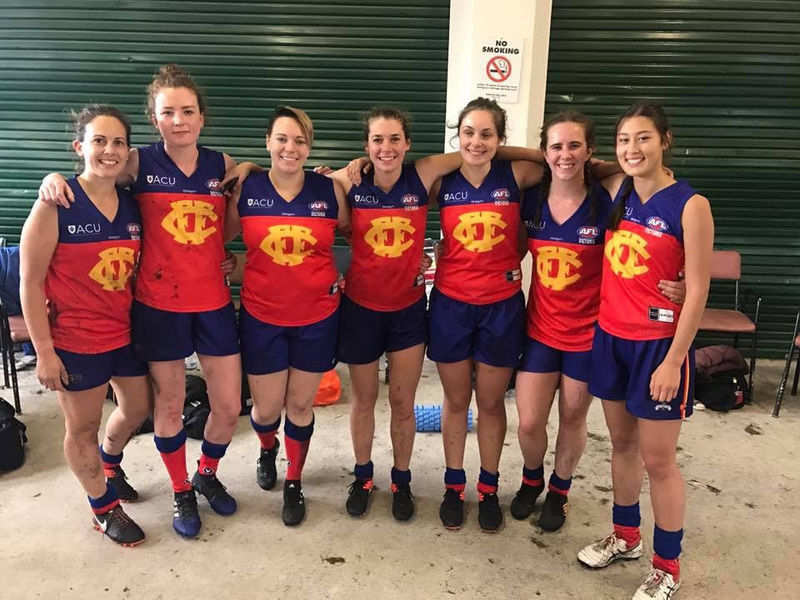 It was a day of firsts at Gillon Oval on Sunday, with Fitzroy-ACU looking old hands as they put on a dominant display against the Brunswick Renegades to hold the Hipster Cup and win their first game of VAFA Wilson Women’s Premier footy. It was also a first for new coach Mick Symons, who must have been pretty thrilled with his charges’ efforts all day in a hard-working full team effort despite the terrible weather conditions. And play like an establishment club they did. 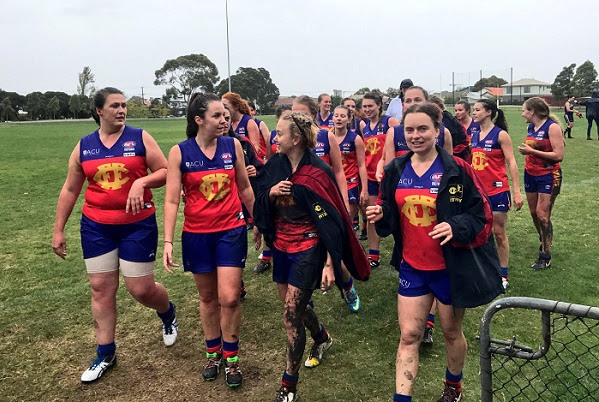 Women 1 had a comprehensive win over Brunswick Renegades and were able to control the game despite the challenging conditions, winning 7.12.54 to 1.0.6. Brunswick Renegades scored their only goal in the final quarter. It was the Hilary and Hilary show in front of goal, with leadership group player Hilary Grubb showing her fitness around the ground and scoring three goals. Hilary Collett scored two. Playing her first game with the club, Anabel Watson showed plenty of pace and good game sense, while Tash Ross-Harris was fantastic in the ruck. It would have been hard to single out the best players given the even contribution across the ground. 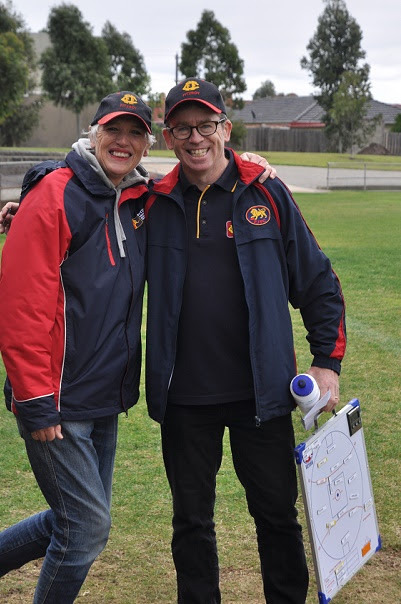 It was a special game in more than one way, with Renegades player, Claire Woodhouse, playing her 200th game – an incredible achievement in women’s footy – and the Roy Girls showed her the ultimate respect lining up with the Renegades for a guard of honour as she left the ground. She was also the Renegades’ goal kicker. Congratulations Claire. Fitzroy-ACU Women 2 also had a win in their first grading game, defeating Brunswick Renegades in a dour goalless struggle, getting the points 0.0.3 to 0.0.2. Women 2 player, Georgie Steggall, who was awarded best on ground, said it was exciting and enjoyable to be part of the first round of footy in the new VAFA Women's league. “We all had a sense that there was history to be made in the first round, and it contributed to our desire to win. This was spurred on by the fact that the Brunswick Renegades are our northside rivals. It was a very big start for Tim Bell’s Under 19 (1) team, who defeated University Blacks by over 100 points. Rory Patterson, who played some senior football in 2016, was a force in front of goal, finishing with four, in Fitzroy’s 20.14.134 to 4.3.27 win. Lucien John, Gus Richardson and Joshua Robinson also had strong games in a very even performance against an undermanned Blacks’ team. The Under 19 (2) team had its first game in the Premier Reserve competition and came up against a very strong St Bernard’s team at their home ground. St Bernard’s won 10.13.73 to 3.7.25. New coach Greg Coleman would have been pleased that Fitzroy outscored the home team in the final quarter. George Ercolano and Sunny Brazier were Fitzroy’s best.